A federal panel working to build a memorial honoring President Dwight D. Eisenhower has voted to move forward with architect Frank Gehry's revised design, despite objections. The commission announced Wednesday that its members voted 8-2 with one abstention to take Gehry's design for a memorial park to a key federal agency that oversees planning for the nation's capital. Gehry has proposed a memorial park with statues of Ike as president and as World War II general. 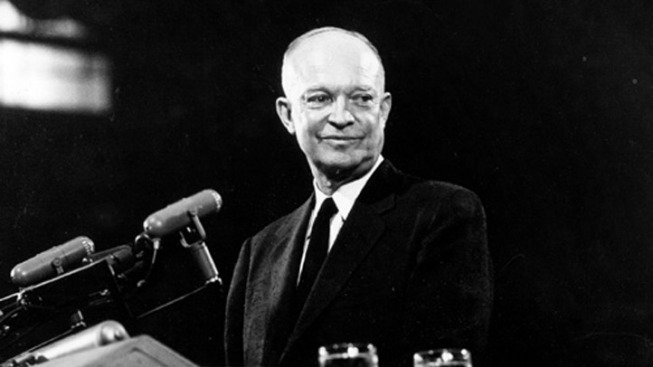 A large metal tapestry would depict the Kansas landscape of Eisenhower's boyhood home. Gehry revised his design this month to eliminate two side tapestries after hearing objections from Eisenhower's family and other critics. The commission also voted 8-2 with one abstention to defeat a separate proposal that would have halted the project until November.